Born and raised in a strong and loving Christian home, Brad Ormonde Jr. first prayed to ask Jesus into his heart when he was nine years old. It was not until Brad experienced medical problems that made him feel as if God had abandoned him, that he looked more closely at God. God used the Jr. High leadership to show him how important Jesus was and what His sacrifice really meant. They stepped in and invested themselves beyond Sunday morning into the life of this discouraged young man and it was a turning point for Brad. 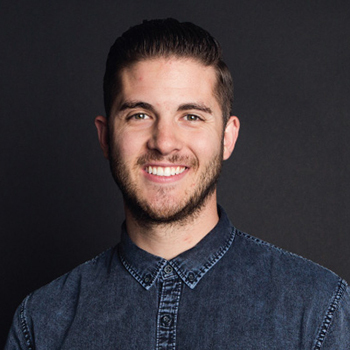 Seeing and experiencing firsthand that God is good and can take any “thorn in the flesh” and bring good out of it caused Brad to really get serious about his relationship with Christ! This was when Brad was 14 years old. As he outgrew Jr. High, he chose to serve in Jr. High, and he has been serving there ever since. While going to the Jr. High ministry, Brad met a young lady named Lindsay. It was not until both of them were going to the Well Ministry that mutual friends reintroduced them to each other and they began to date. Almost two years later Brad and Lindsay married. “But I do not account my life of any value nor as precious to myself, if only I may finish my course and the ministry that I received from the Lord Jesus, to testify to the gospel of the grace of God” (Acts 20:24). This was a turning-point scripture for Brad as he felt God’s call on his life into full-time ministry. What a great verse of God’s power and grace, not only for our newest Riverside pastor but for all of us!